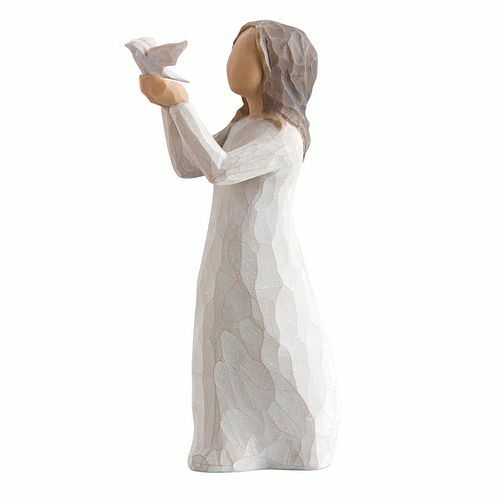 Willow Tree angels and figurines form a wonderful collection representing qualities and sentiments that make us feel close to others. This beautiful hand carved sculpture evokes feelings of peace and tranquillity. Willow Tree Soar Figurine is rated 5.0 out of 5 by 2. Rated 5 out of 5 by Anonymous from Lovely figurine This figurine is a lovely gift for an elderly, representing Peace it is just how they are.